At the end of 2017, NCHD and each of it’s 13 county health departments received national accreditation through the Public Health Accreditation Board (PHAB). Accreditation is granted for five years, during which, NCHD works with PHAB to maintain high-quality service. The national accreditation program works to improve and protect the health of the public by advancing and ultimately transforming the quality and performance of public health departments. NCHD is one of fewer than 200 health departments, and one of four in Georgia, that have achieved accreditation through PHAB since the organization launched in 2011. Public health accreditation sets goal for overall improvement of health departments. During the accreditation process, NCHD’s practices and performance were measured against a set of nationally recognized, evidence-based standards. Upon receiving accreditation, PHAB has acknowledged that NCHD meets the standards set by the board. Accreditation through PHAB is valid for five years, during which NCHD will continue to develop and improve its practices. The ultimate goal of accreditation is to advance the quality and performance within our health departments by meeting and exceeding the standards of PHAB. 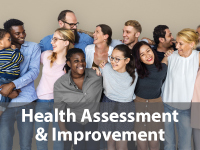 Accreditation helps identify performance and quality improvement opportunities within a variety of areas of health department operations. During the process, individual strengths and weaknesses are identified that the health department’s staff may not have been aware of. By shining a light on these areas of improvement, health departments can work with PHAB to improve their practices. Additionally, accreditation has been shown to increase a health department’s accountability to external partners and, in doing so, strengthen the relationship with those partners and the community at large. 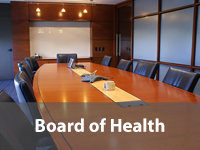 The Public Health Accreditation Board, established in 2007, was created to serve as the national public health accrediting body, and is jointly funded by the Centers for Disease Control and Prevention and the Robert Wood Johnson Foundation. The development of national public health accreditation has involved, and is supported by, public health leaders and practitioners from the national, Tribal, state, and local levels. 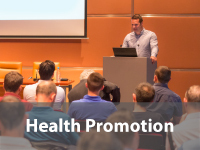 Learn more about PHAB or sign up for the PHAB e-newsletter by visiting www.phaboard.org.